Mark Reynolds takes photographs with a pencil. When you see his images of Jimi Hendrix or Morrissey , you will ask yourself…”Was that from a Rolling Stone cover?” There’s no doubt that Mark Reynolds loves music. 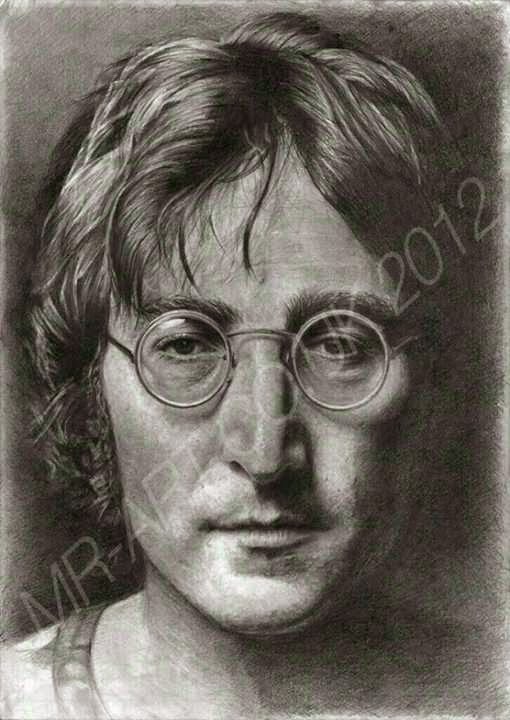 Only someone who knows the meaning of music could draw musicians so well. The details are so precise and fine that the image starts to breathe. Mark Reynolds is brilliant. His work will intrigue you and make you wonder how he gives color to something so black and white. His camera is a pencil. You won’t believe the shots. Ara: When did you begin sketching? 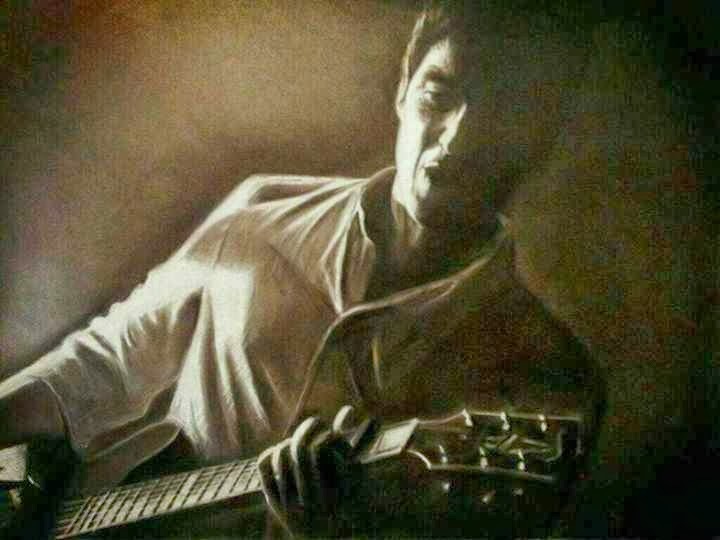 And when did sketching become photographic images of musicians? Mark Reynolds: I began drawing at an early age and won Granada Studios Art competition at the age of nine. I have always had a passion for music since I was young which was inspired from my granddads love of Jazz and my mums love of Motown and Northern Soul. Ara: Anyone who sees your art, sees your love for music. What musicians influenced your work? Who was the most difficult to draw and why? Mark Reynolds: I always seem to listen to the music of the artist/band I am drawing as it allows me to kind of bond with them through their music and enables me to capture more character in the subject I am drawing. I think the most challenging piece was my pencil drawing of Liam Gallagher as there was a lot of detail to capture, for example the stubble. My latest hyperrealism piece “Serenity” is a pencil drawing of my girlfriend taking a shower. This was again challenging as I had to capture all the water drops and give a metallic feel of the tiles behind her. 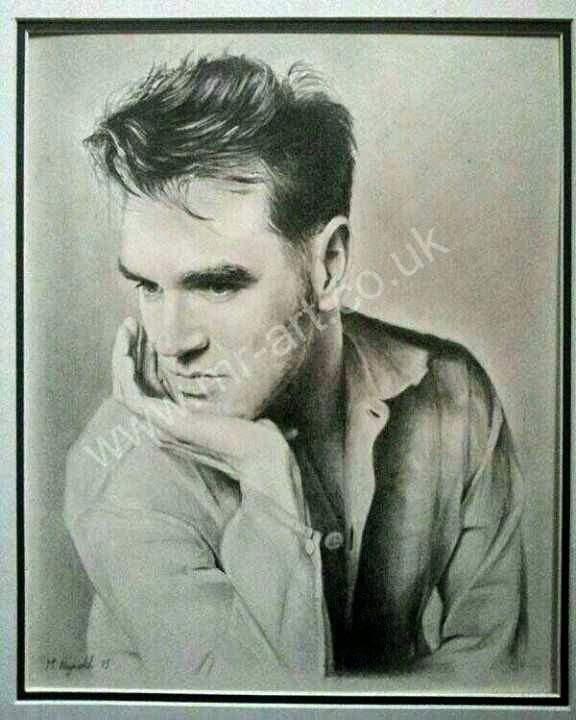 Ara: I was especially taken by your pencil of Morrissey, Elvis, and the Stone Roses. How do you illicit such detail with pencil? Mark Reynolds: A lot of people ask me this question, I seem to be able to look a lot deeper into the subject allowing me to build it up layer by layer pinpointing every individual mark. Ara: Your pastels of Amy Winehouse and Paul Weller are fabulous. How do you manage to get the depth and light so perfectly natural? Like a photograph. Mark Reynolds: I don’t know how to answer that, it just comes naturally, I don’t really think about it. Ara: Have you shown your work in galleries or do you sell exclusively from your website? Mark Reynolds: I have just this week entered my latest drawing “serenity” into two competitions at the Mall Gallery, London. 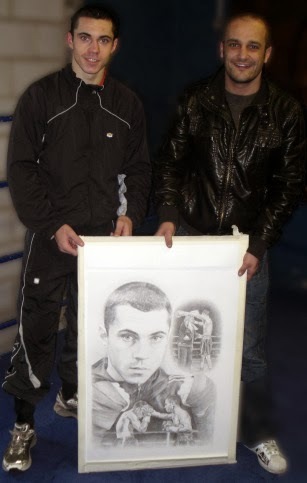 I sell reproductions of my work through my website www.mr-art.co.uk and also through facebook “markreynoldsart and twitter @mr_art1975. Ara Harris: Who’s in your record collection? Ara: Best album cover ever? Ara: Have you ever considered recreating classic album covers? The Smiths come to mind. Mark Reynolds: I’m thinking about doing one soon, maybe Quadrophenia by The Who. Mark Reynolds: I get a lot of motivation and inspiration from my followers on Facebook and Twitter as there constantly giving me good feedback and drive to make it to the top. Ara: Art that moves you? I love hyperrealism art, as it’s about the artist bringing a photo to life through a drawing or painting. Ara: Have you ever used oils or do you prefer pencil? Ara: Your drawings are absolutely amazing. 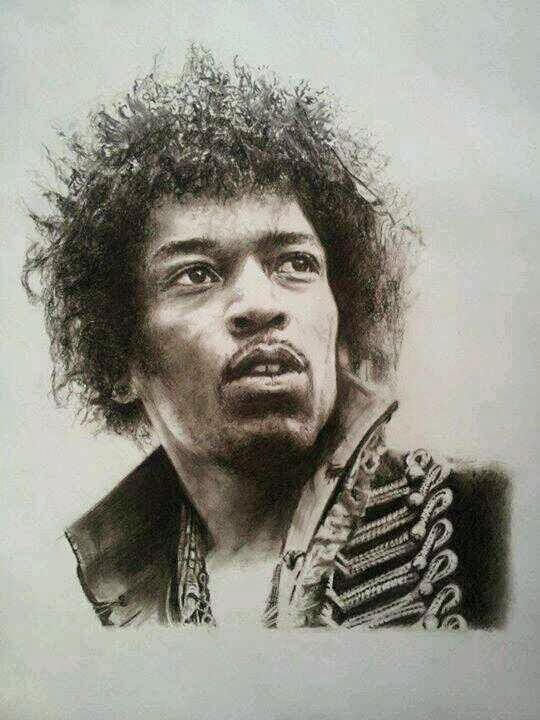 How long does it take to do a drawing like Hendrix? Mark Reynolds: Surprisingly, Hendrix didn’t take me that long, probably about a week. However my latest drawing “Serenity” took me about 8 weeks! Ara: Have any of the subjects of your drawings responded to your work? 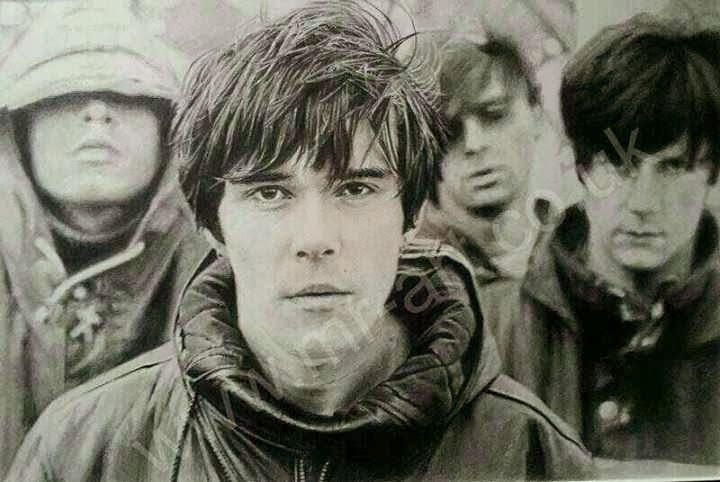 Mark Reynolds: I have met Ian Brown, the lead singer of The Stone Roses and he was impressed with my drawing and was happy that I didn’t put any grey hairs in his beard! He happily signed my original and a few prints for me. Ara: Who do you still want to draw? Ara: What do you still want to do that you haven’t done? Mark Reynolds: I would love to have my work displayed in some of the top galleries including The Mall Gallery, Castle Galleries and Plus one Gallery in London. It is also my dream to show my work in galleries abroad. Ara: If I had never seen your work, how would you describe it? Mark Reynolds: I would describe a lot of my work as photo realistic although I do tend to take a looser approach to my drawings at times giving a feel of movement depending on the subject.